Shared Discovery ($0.08) Price History from major stores - Rise of the Eldrazi - MTGPrice.com Values for Ebay, Amazon and hobby stores! 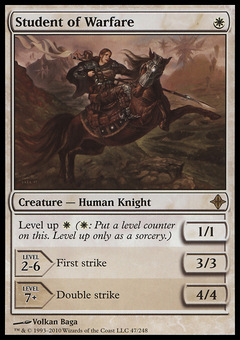 Card Text: As an additional cost to cast Shared Discovery, tap four untapped creatures you control. Draw three cards. 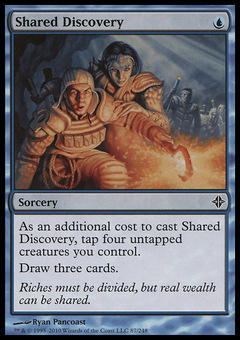 Flavor Text: Riches must be divided, but real wealth can be shared.